The title "Legend" does not really do justice to a man that was the epitome of Peterborough United. From the age of eighteen, he served The Posh in many roles, including playing captain, manager and chairman. Just like the fans who adored him, he loved the club too and he continued to play his part behind the scenes at his beloved Posh, until ill health forced him to finally step down. 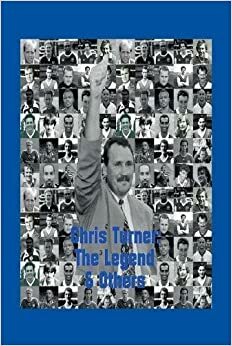 Sadly, the great man, Chris Turner, was taken from us in 2015. But in 2017, a lasting tribute, in the form of a bronze, life-size statue is to be unveiled at his spiritual home. All profits from the sale of this book will go to the fund which was set up to make this dream a reality.